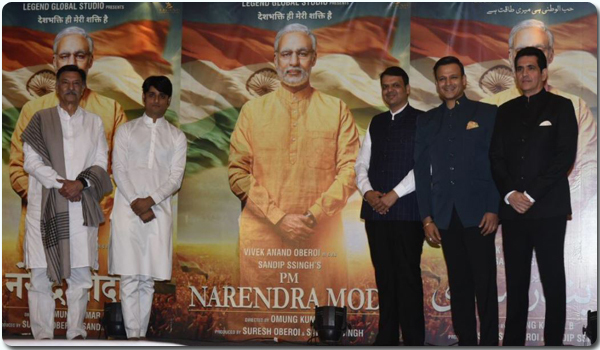 PM Narendra Modi is an upcoming Indian fiction and biographic film directed by Omung Kumar .The stars are Vivek Oberoi, Boman Irani, Manoj Joshi. 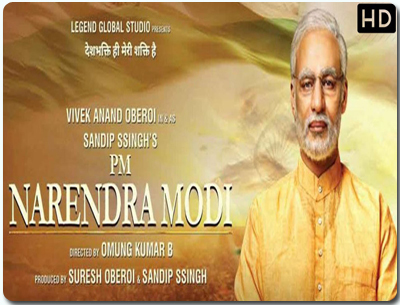 The film is based on the life of Narendra Modi, the 14th Prime Minister of India. The film was produced by Legend Global Studio, Anand Pandit Motion Pictures. The film showcases Modis remarkable courage, wisdom, patience, dedication to his people, his acumen as a political strategist, his leadership that inspired a social changes in Gujarat and later India. It traces his childhood in the 1950’s to his meteoric rise in the corridors of politics, as a four-time serving Chief Minister of Gujarat. The film culminates in Modi’s overcoming all the obstacles to create and lead one of the most fascinating and successful election campaigns in world politics in 2013-14. Vivek Oberoi has the herculean task of playing Narendra Modi, a mass leader and most of all a familiar face. The prosthetics or make-up do little to make Oberoi look like Modi but he does impress as the young Narendra who informs his mother about taking up sanyas, wanders in the Himalayas and joins the RSS shakha. This film is the inspiring saga of a man, a politician, a leader and a visionary - the Prime Minister of India, Narendra Damodar Das Modi. It chronicles his 64 year long epic journey, from abject poverty, selling tea on a railway station as a chaiwala (tea seller) to becoming the leader of the world`s largest democracy. The film is the shining symbol of the victory of a common man. The movie is produced by Legend Global Studio, Anand Pandit Motion Pictures. The music of the film is composed by Hitesh Modak , Shashi-Khushi.